Last week in Curves Class with Rachel from Stitched in Color we began working on precise curves. 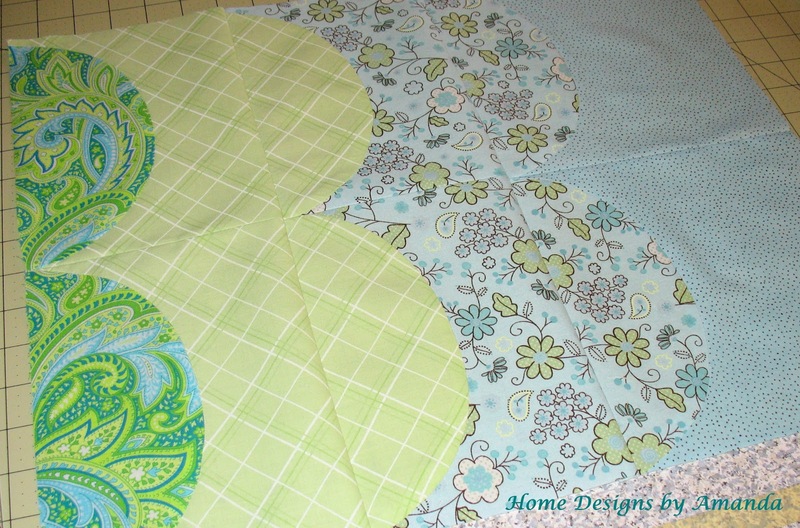 The projects included the DP blocks, a Scallop Quilt, and an Orange Peel Pillow. We are not required to do every project each week, but I did all three of these...they were just so great! I did the DP blocks to get comfortable with precise curves and because my wonderful husband got me the template from here for Christmas...which I love :) I showed my DP blocks on last Wednesday's post if you want to see them. 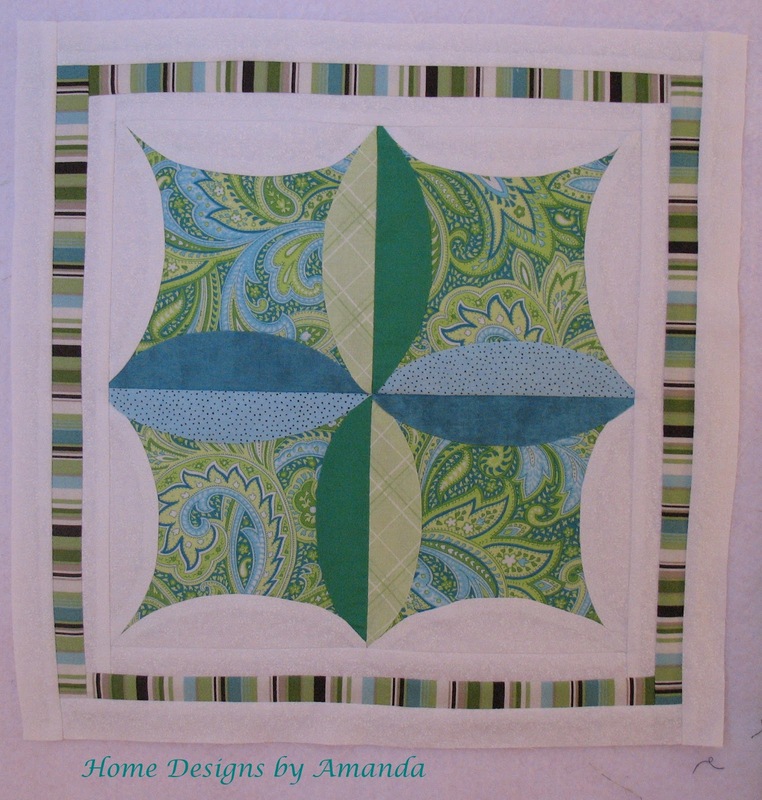 Wednesday's class was a greatly anticipated class...the Scallop Quilt! I bought my fabric for this quilt in mid-January with Christmas money, and couldn't wait to get started on it! 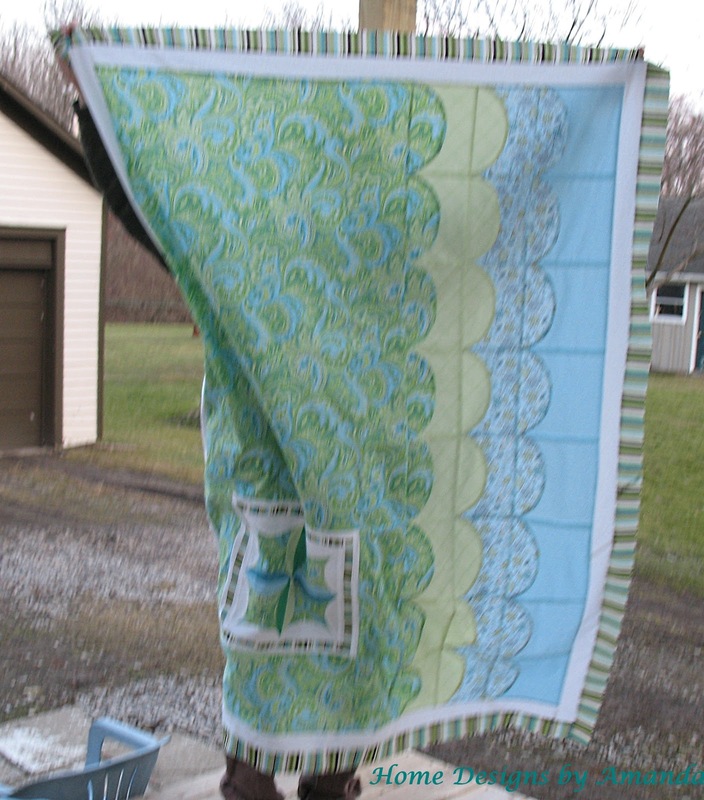 ﻿The original pattern was for a baby sized quilt. Well, around here, we like larger blankets...so I added two extra scallops, some inches to the width, and then some borders. So now it's about the size of a twin quilt. It's been quite windy around here this winter...today was no exception! Thursday's project for class was an Orange Peel block for a pillow. I didn't really think I needed a pillow and thought it would look nice in the quilt...so I added it to the quilt! 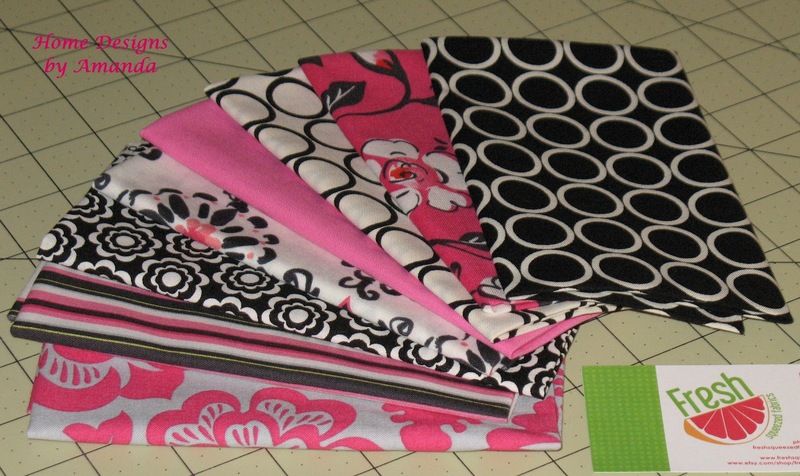 However, now I want to 'decorate' my sewing/office space with this combination of fabrics...so I have some of the scrap pieces cut for mini granny squares to make a chair pillow. 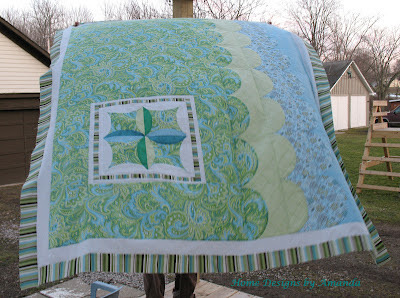 I'm going to wait to quilt this on my new sewing machine...once I get it, I'll tell you all about it... :) So EXCITED!!! 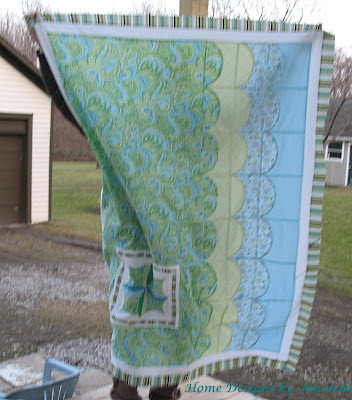 Also, once I get this and Liz's quilt quilted, I'll show them off! I finally WON a giveaway! 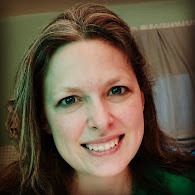 Randi, at Fresh-Squeezed Fabrics and writer of I have to say... blog, hosts a weekly fat 1/8ths giveaway...and I won last week! I was so excited when I found out I won... I probably would have started jumping up and down, but I was holding a sick baby. Sometimes we need to remember in all the chaos of life, that we need to stop and regain our focus. Even in the midst of knowing that God is in control, we need to be still and listen for His will and regain a vision for following Him. 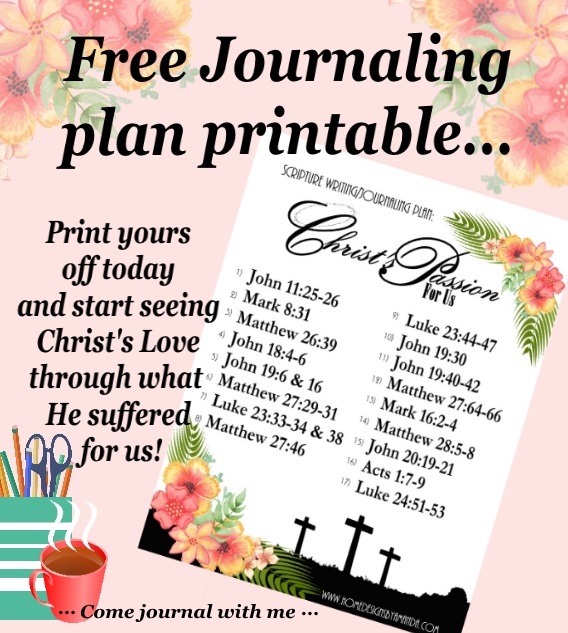 You make such lovely things! 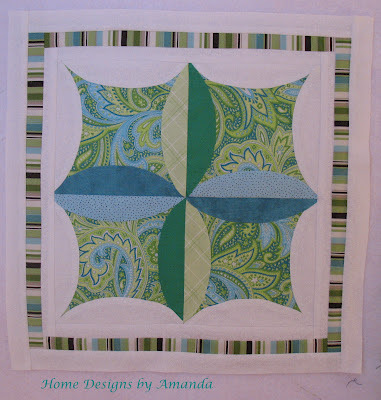 The orange peel block really adds something special to your scallop quilt. Beautiful colors and beautiful fabrics. Can't say I blame you for laying claim! Your scallop quilt is out of the ordinary and beautiful. I too love the soothing colors. Lovely post, Amanda. 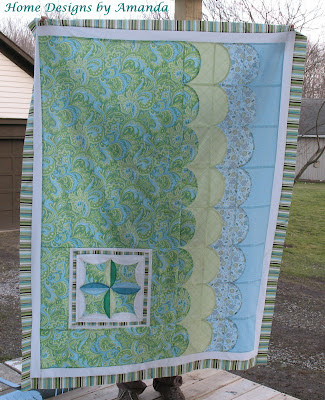 Love the scallop quilt...it is really beautiful! The block adds so much to it. 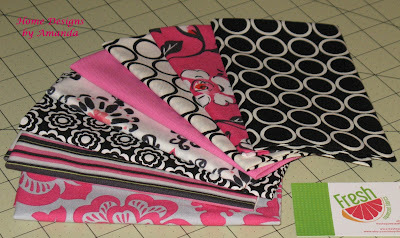 Love the pink and black fabrics..that will be a gorgeous project too! Your curves are AMAZING and this quilt is STUNNING! Great job!